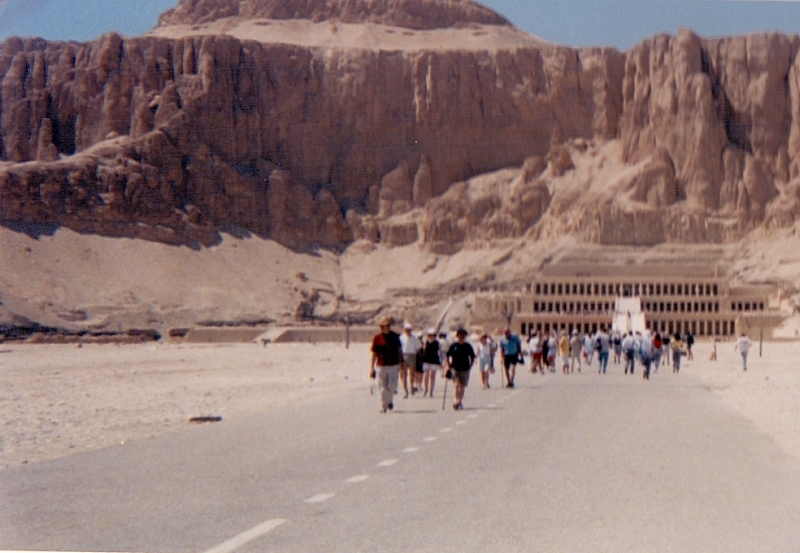 Our last excursion took us to see a glimpse of afterlife in Ancient Egypt. 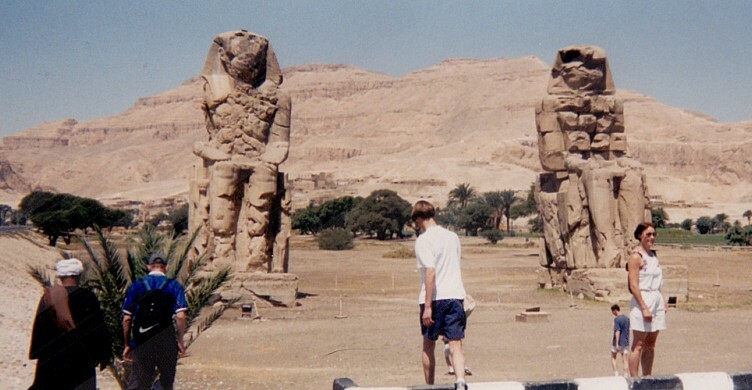 We first met with the Colossi of Memnon, two gigantic statues (each 18 m high), who used to serve as guards to the famous temple of Amenhotep. This temple is now completely destroyed, and the colossi themselves have been heavily damaged. They still look pretty impressive though! 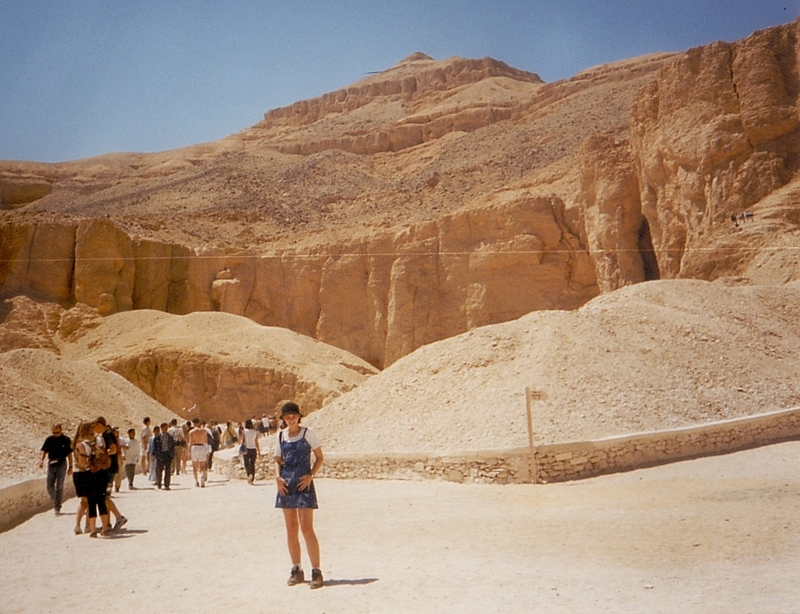 After our stop there, we headed out for the Valley of the Kings. This narrow valley was the burial site during almost 500 years of Egyptian rule. 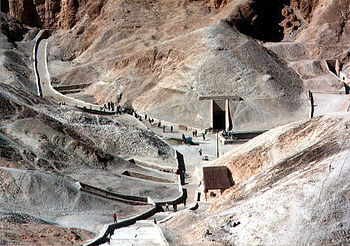 Between the 16th and the 11th century before Christ, Pharaohs and important nobles were burried there. The Valley consists of 63 tombs, ranging from a simple burial pit to a complex tomb with 120 chambres. The Valley itself is searingly hot, so bring loads of water. 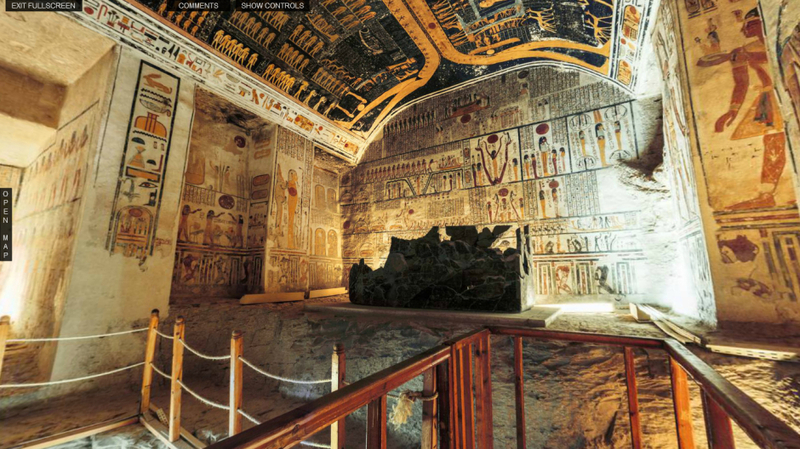 You cannot photograph inside of the tombs, due to the special preservation measures that have been taken. This is also the reason why only a certain amount of graves is open to the public each day, in a rotation system. It’s not possible to choose which graves you can visit. It is impossible to forget them though. I have never seen anything like it in my life. All hieroglyphs and decorations of the walls still burst with colour. They tell stories of the afterlife and your guide will offer you a lot of information on the scenes shown. I remember one of the tombs really clearly, because it had the most magnifent blue walls, with stars carved out in bright yellow. The deceased facing the Gods after he had died, the burial chamber itself with the sarcophagus still present… It was the highlight of my trip there! The pictures below are not my own, but will give you an idea of how impressive this archeological site is. Afterwards we made our final stop at the temple of Queen Hatshepsut, also known as Al Deir Al Bahari. The main temple lies on top of a series of terraces, that were once flanked by beautiful gardens. Though it is an impressive temple, most of the decorative statues have been destroyed or removed, making it for me less of a highlight to end with. We hope you enjoyed our small trip into this wonderfull country. One day, in safer times, we hope to explore this country further. Maarten & Febe haven’t been there yet… and there is still much to be disovered outside of this explored area. Awesome post. 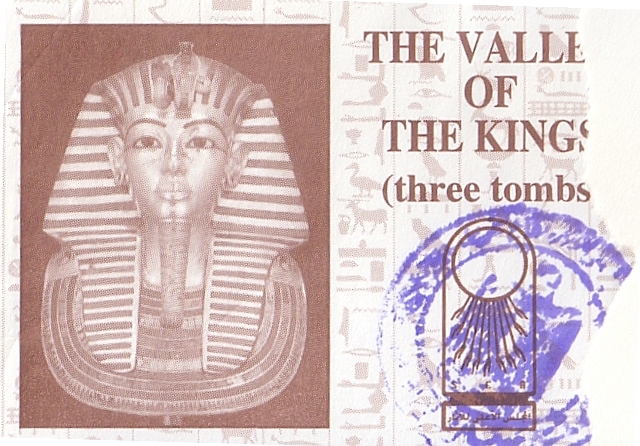 It seems that you have enjoyed a lot during your trip to Egypt. Thanks a lot for sharing this unique post.